Celebrating Bath’s most famous resident Jane Austen. Special Offer with your ticket - get 2 for1 on a delicious Cream Tea in the Regency Tea Room at the Centre. 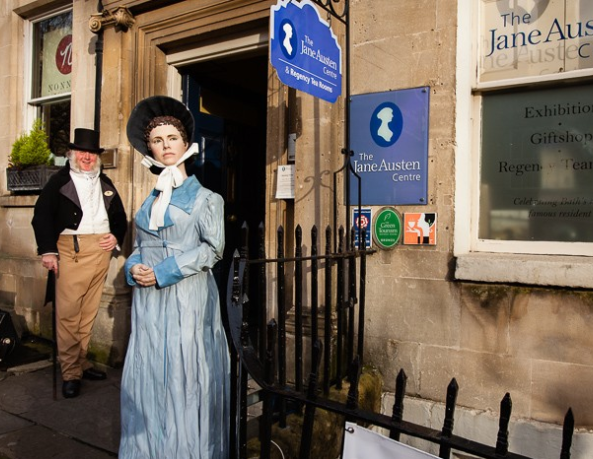 The centre is a must see for any fan of the author, bringing the Jane Austen story to life with exhibits on Bath society and fashions of the time. Costumed guides, a superb gift shop and an authentic period atmosphere await you! If you opt for FREE COLLECTION from the Bath Visitor Information Centre, tickets MUST be collected from our office BEFORE you use your package, otherwise you will not be admitted.Our office is open until 17:30 Monday to Saturday and can be found at Bridgwater House, 2 Terrace Walk, Bath BA1 1LN.